This past weekend I attended a conference in Austin. Like most evangelical events, the speakers were popular authors or pastors (or both) who shared with the masses their stories, learnings and convictions. And like most evangelical conferences, there were those who were somewhat star-struck by the speakers. And why shouldn’t they be? Many of them authored books that struck a chord within the listener, they are introduced with a litany of impressive titles (e.g., visionary, architect, activist, author, etc.) 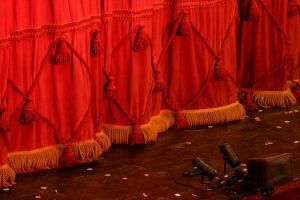 and they are handled like stars – have their own roped off path to the auditorium, are rarely seen talking to conference attendees and are usually sequestered backstage until it’s their time to speak. Don’t take this as a jab, it’s standard conference fare. Usually hosts feel these precautions are necessary for the preparation and “protection” of the speakers. I think I get it, and frankly, I don’t have a problem with it. Our church did something similar with a conference in September. Also, let it be known I have nothing against the speakers. Indeed, some of them are friends of mine. But for me, my heroes at the conference weren’t on stage. In fact, most wouldn’t know their names. They don’t have big churches or a book to push. When you introduced them to others you’d probably just have one title – “Pastor.” And when you talked to them you’d likely find out not only do they NOT have the answers and solutions people travel many miles to hear, you’d discover they work very hard and long for little victories that the “big guys” dealt with ages ago. If you gave them a chance to speak at a conference they’d probably lead seminars on “How To Take Risks And Have Them Blow Up In Your Face,” or “Trying to Make Ends Meet When Your Core Questions Your Leadership.” I know, probably not going to be well-attended breakouts. If you haven’t guessed it already, my heroes are the church-planters and the staff that have “crossed the line in the sand” with them. Often my strategy at conferences is more to connect relationally than it is to hear the speakers. I can do that online…for free…without leaving the comfort my office. What I can’t do is connect and reconnect with the guys in the trenches of doing what I’m trying to do. Lead a church. And when I get around men who have the courage and faith to plant a new church in order that the gospel might reach those which other churches might not, I’m star-struck! I am amazed at their love, passion and laser-like focus for the mission of Jesus. For example, Saturday night I spent a late evening fellowshipping with church-planters and their staff in downtown Austin. To know their names, to shake their hands and to hear their stories, for me, beats sitting down and listening to speakers nine times out of ten. I was beside myself, totally amazed and honored and humbled to hear about how Jesus was at work in the lives of my brothers and the churches they led. Again, it only reconfirmed in my heart what I already know. These guys – these no name, small attendance, scraping up money to even come to a conference but would charge Hell with a water-pistol for Jesus – these guys are my heroes. However….scraping up money…”gulp” …biggest hurdle by far! I love unsung heroes, no matter the arena. They are everywhere. Single moms raising kids well. Janitor who spread more cheer than cleaning agents. Teens fighting the culture. Pastors of small, cash-strapped churches. Humble saints are all around us. isn’t is crazy that the Gospel can be forgotten, put away, added to or lost in religious/christian culture? thank you for the accountability!